With New Years Eve fireworks celebrations expected to take place from 9pm onwards, vehicle access to certain areas of London will be severely curtailed. Restrictions will begin from early afternoon on New Years Eve until around 6:00am on New Year's Day. These restrictions will afferlct both vehicle and foot traffic. Roads will be closed between Oxford Street in the north to Lambeth Bridge in the south, and Blackfriars Bridge in the east to Vauxhall Bridge in the west. 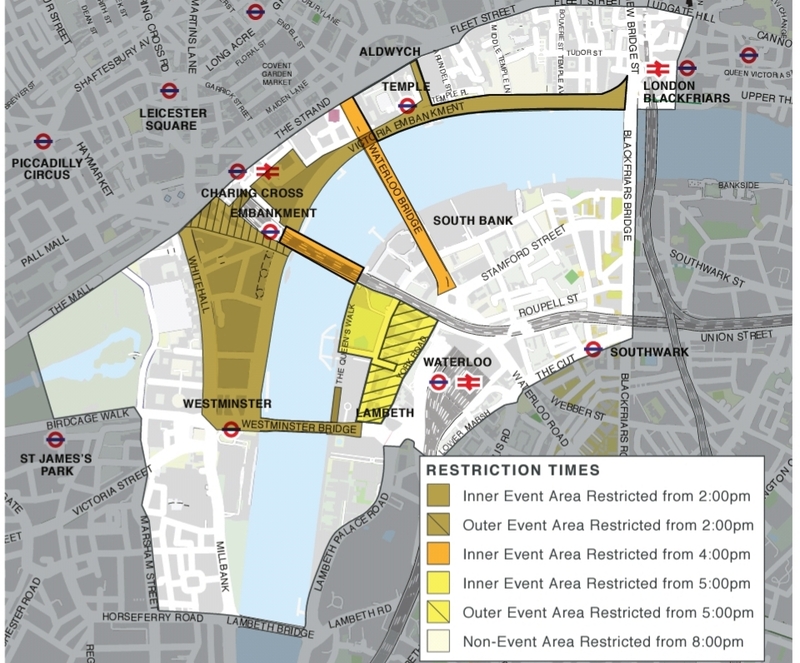 Some roads in central London will stay closed for the London New Year’s Day Parade. A vehicle and pedestrian road closures map is available to guide you around the restrictions.